The Tanner Colby Smith Foundation was founded to honor a life lost too soon. Sadly, Tanner passed away at age 9. Even at that tender age, Tanner had a very giving heart and seemed to really understand the importance of giving to those who had less than himself. To honor his memory and celebrate his giving heart, his family created the Tanner Colby Smith Foundation. 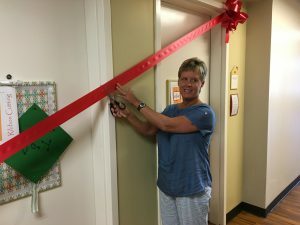 The family felt the services offered by the Ronald McDonald House were important and therefore, their Foundation contributed to our Adopt-a-Room program to ensure we have the best accommodations possible for the families who stay with us. Through our Adopt-a-Room program, we have renovated each of our 41 rooms over the past two years. We know that children and their families need more than doctors and medicine to become well again, and the Tanner Colby Smith Foundation wanted to help us provide that comfort for guest families. They have experienced firsthand the need for a place to which the children could go after the surgeries and medical tests were done – a place outside the hospital where they could play with friends and family members. At our House, families can re-group among others going through similar hardships instead of going back to the isolation of a hotel or the sterile environment of a hospital room. 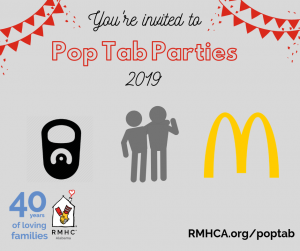 If you would like to learn more about our Adopt-a-Room program or would like to become a donor, please contact Kathy Robson, Director of Development at (205) 638-7258 or kathy.robson@rmhca.org.